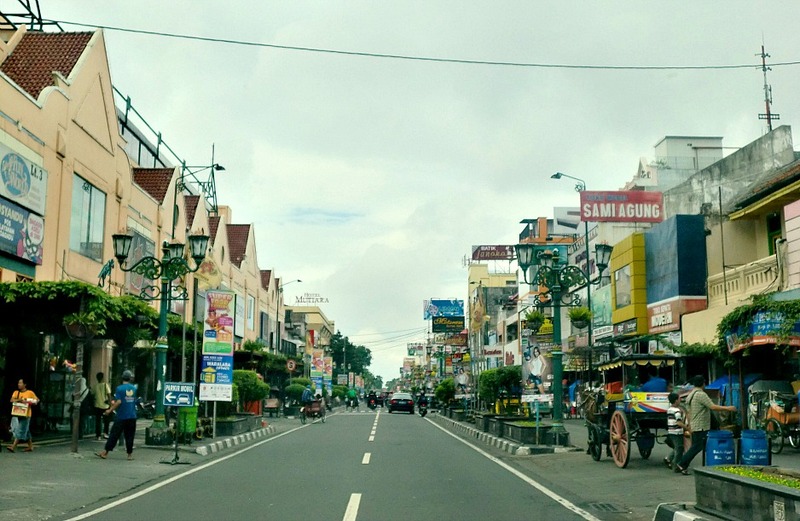 Browse: Home » Indonesia » Destinations » Yogyakarta » Welcome to Jogja! 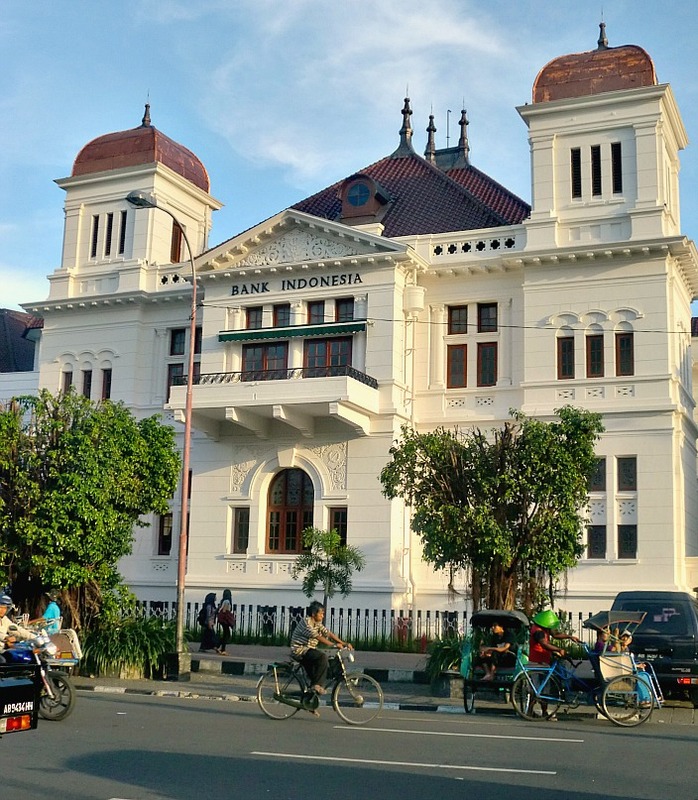 I was eager to leave the comforts of Jakarta knowing that Yogyakarta would be a much better place — more exotic food, more fantastic scenery, and more amazing people. Unlike Jakarta, I didn’t reserve a car to pick us up from the airport and to bring us around the city. Why? Because Jogja has a seemingly good bus system that can take us from the airport to the city and around town. My little research showed me that the only place far from public transport was Borobudur, but I shrugged the thought knowing that we can easily book this through our hotel. But here comes fate: my father’s gouty arthritis had worsened. Though he asserted that he could walk, our eyes told us differently. He was limping, and there was no way that we could take the public buses around. Arriving in Jogja was a little bit intimidating, primarily due to the abundance of people. Outside the arrival gate, there were a lot of standing taxi drivers claiming to drive official taxis. My guts told me otherwise. On my right was a small booth where the official taxi stand was. I pulled IDR 50,000 from my pocket to pay for the taxi and was immediately assisted to where vehicles were. Off to town! Alright, so this wasn’t the Jogja I imagined. 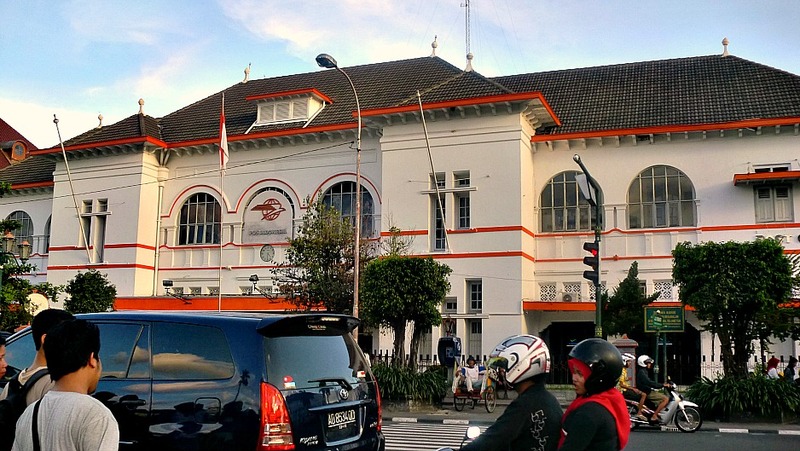 I was trying to convince myself of a more progressive town, given how Jakarta impressed me. ‘This is like Vigan’, my father remarked. (Vigan is the capital of the province of Ilocos Sur, Philippines.) He was right. Though on its way to urbanization, it was still a mix of old and new, typical of any Asian town. Its streets were narrow, but the malls were huge. There were a lot of shops selling just about everything on the planet. I was disappointed. 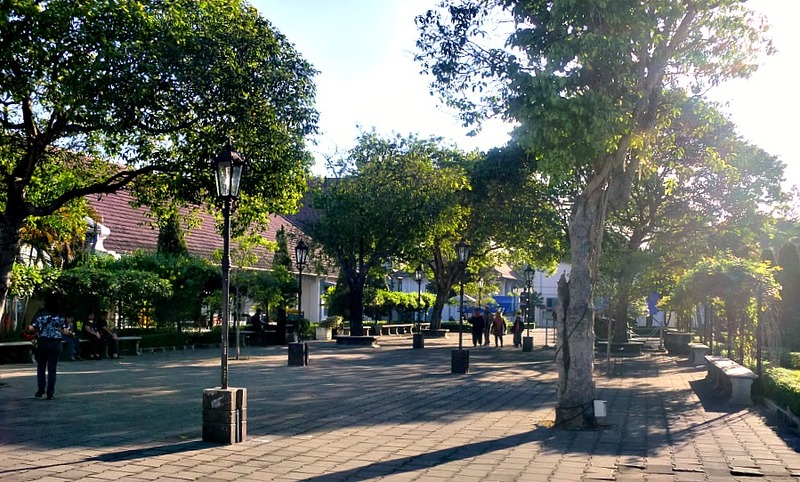 Jogja was plain — it didn’t have its own vibe. 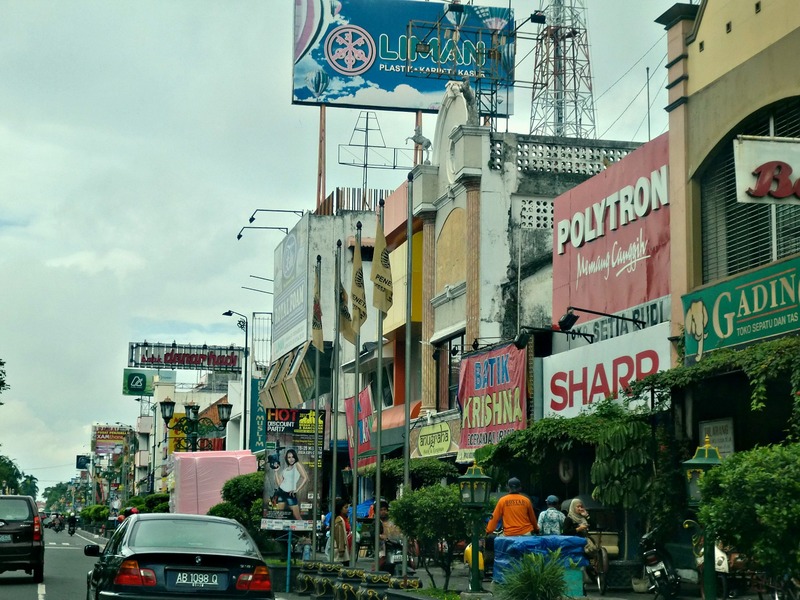 This was the general feeling that enveloped me, until I went to Jalan Malioboro, the bustling street full of people and shops. 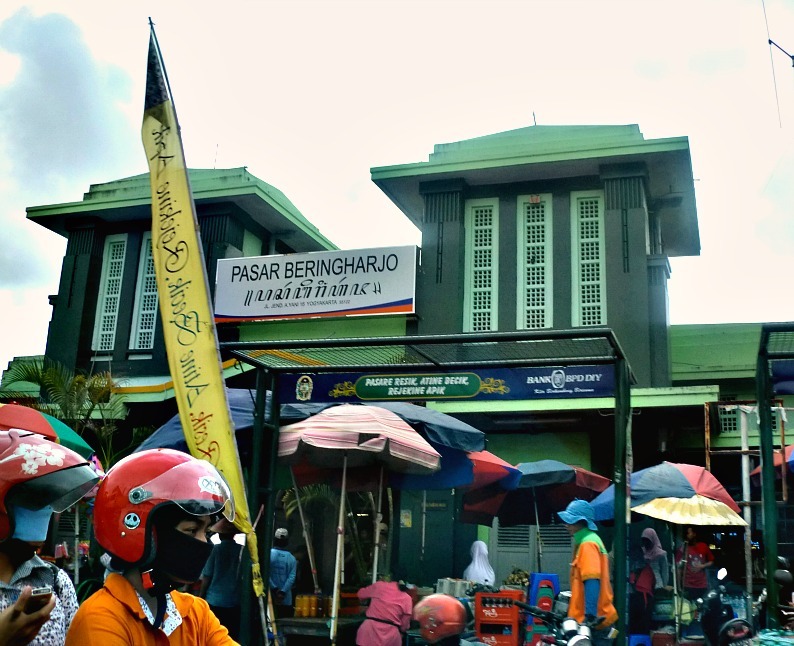 Here was where the locals gathered, where they shop for food and batik, and where most tourists find themselves lost. I was wrong. Jogja had a very strong identity. 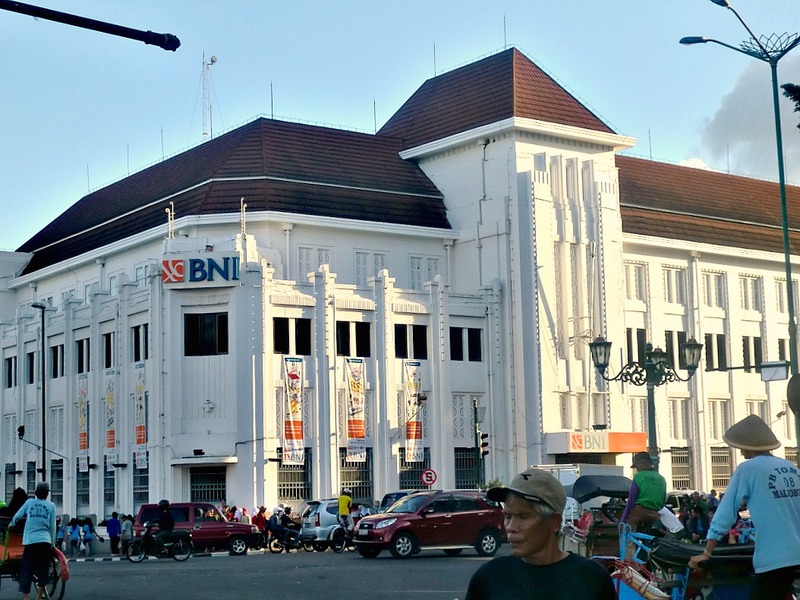 In fact, the experience was overwhelming — all around you, there were tourists haggling prices of souvenirs with the sellers, children buying a local drink from a street vendor, and becak drivers honking their way past pedestrians. 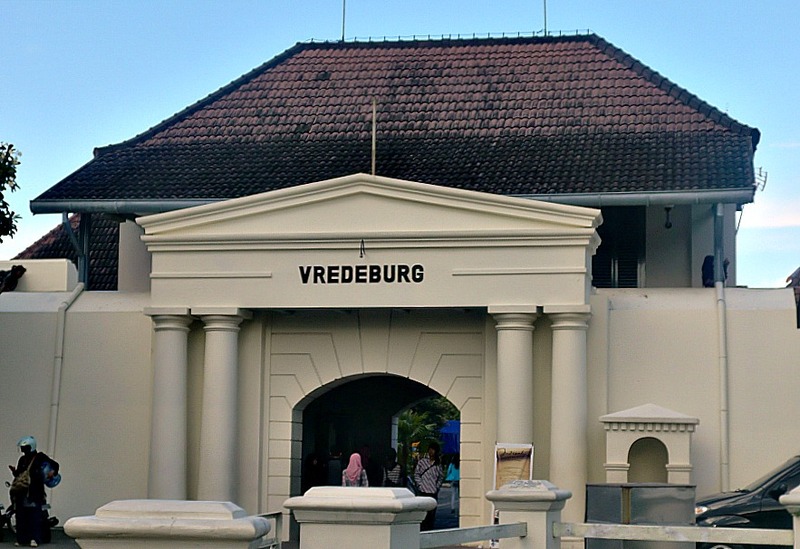 We found ourselves in front of Benteng Vredeburg, a Dutch fortress in the middle of Jogja. After paying a small entrance fee, we were greeted by the statues of Jenderal Sudirman and Lt. Jenderal Sumoharjo. 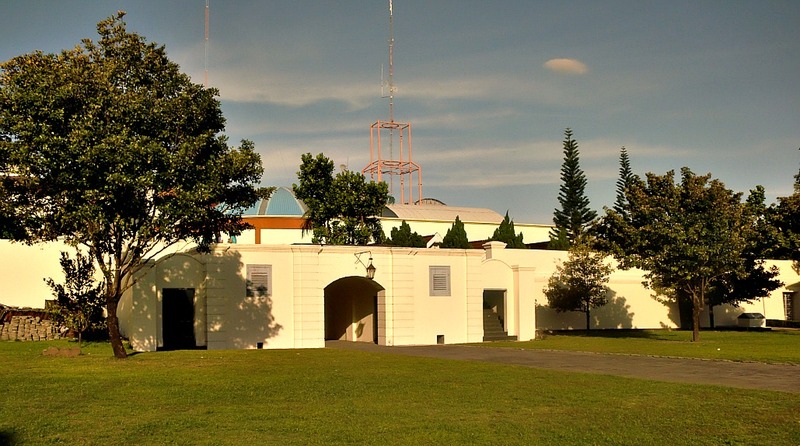 The compound was big, with a number of low buildings showcasing Indonesia’s struggle for independence. We only entered Dioramas 1 and 2 as it was already late in the afternoon, and my father could barely walk. The fortress was quiet, standing in contrast with the vibrant atmosphere outside. It was full of lush greenery, so soothing that I could have forgotten how chaotic it was outside! 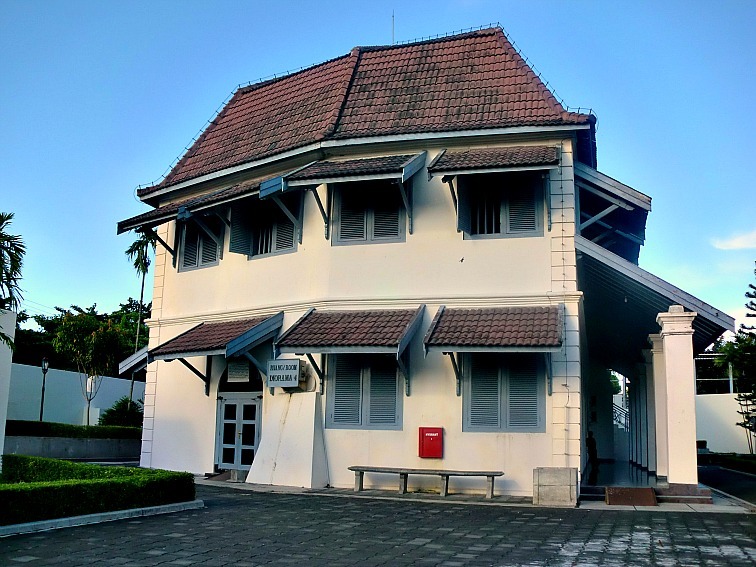 Just a short walk from Benteng Vredeburg is Nol Kilometer, or Jogja’s Kilometer Zero, where we found more buildings with colonial architecture. After buying some items made of batik from Pasar Beringharjo and riding the famous becak (IDR 10,000 for 2 people), we were back in the hotel. Tomorrow, there’d be more of Jogja.